Over the past few years the one glaring aspect of video gaming that has been lacking is a convincing video game or series that can adequately entertain adults and children alike. Many have tried to entertain just children, often with horrific results. Who can forget the astounding graphical finesse of Pixar’s Cars game? It was dreadful. What about Shrek? Also dreadful. In fact, pretty much any game that specifically targets children with video game releases, especially movie adaptations, often results in a cheaply made, half-hearted effort that would even look poorly made on the previous generation of console. But recently several titles have come along and have immediately improved upon the idea of entertaining kids. Skylanders is one such title, as is the Disney Infinity series, which is arguably a blatant copy of Skylanders except with Disney characters. Then we had the Lego games. Admittedly the Lego games have been going for several years, but what they provide, and the others tend to lack, is a focus on both child and adult audiences, complete with scores of hilarious quips. The Lego Dimensions series could be seen as just another copy of Skylanders, but Lego made sure they were providing something different. And they did. Where Skylanders and Infinity provide fairly static and generally inflexible characters to collect, with the possible exception of Skylanders: Swap Force, Lego Dimensions provides a new ‘dimension, (see what I did there?) to interactive gaming. You get to build the actual portal with which to use. You also get to build the various characters or vehicles for the game as well. And you can use them on any expansion. That’s the crucial thing here, as well as the humour, but I’ll touch on that in a moment. Ghostbusters but with Harry Potter? Go ahead. Fancy saving Gotham with the A-Team or Homer Simpson? Then use those characters. Unlike some of the previous, older sets of Skylanders or Disney Infinity, where you can’t use older releases with the new sets, you can with Dimensions. And then there’s the humour. The humour used in the Lego games and films is well known. They’re funny. But more importantly they’re funny and entertaining to both young and mature audiences. It makes the games dynamic. But more importantly it means the developers have to produce a quality product. As previously mentioned, most titles aimed squarely at children are cheap and generally soulless offerings. This usually comes about when titles come off the back of animated movie releases, and their less glossy counterparts are released to a young and eager audience seeking to re-enact their movie experience. Cars is a prime example of this. You go from the seamless and superb visuals of the movie to a horrible rendition of the film that leaves a lot to be desired. An adult wouldn’t tolerate this, but a child might. But Lego have ensured that their releases have purpose, humour and good visuals. They’re entertaining to play and have their own signature, mainly in the form of constructing various items throughout, collecting gold bricks, and being funny to all ages. But lets look at the separate releases in more detail. 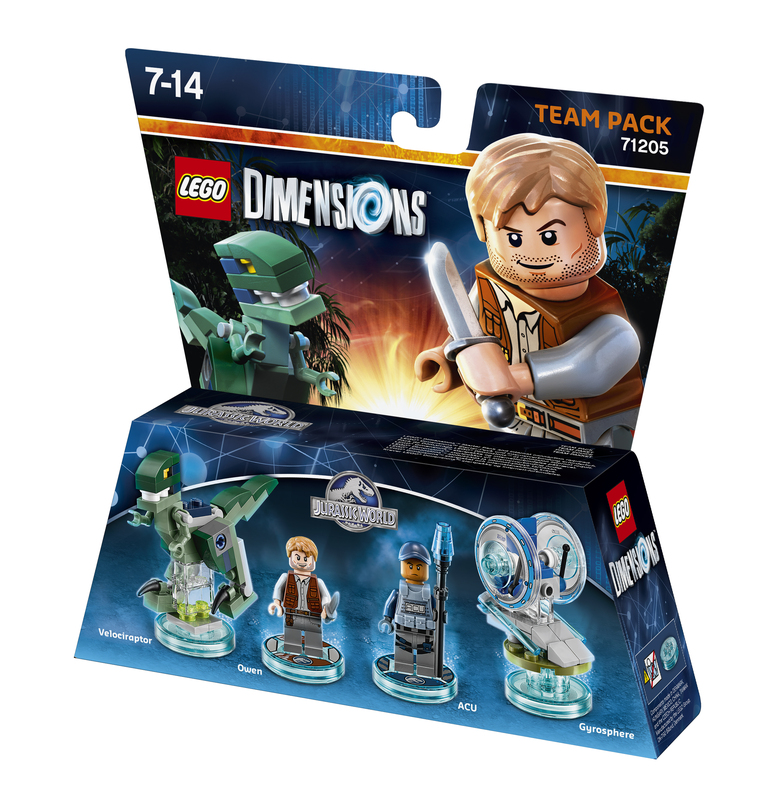 Lego Dimensions releases are broken down in to two main categories: Story packs and expansion packs. Story packs are the main sets that feature set storylines and worlds to explore. Expansion packs feature characters of vehicles that can be used in the original game or in a story pack. This is where the ability to use countless characters in stories that typically aren’t related comes into play. So you can use Batman in a Ghostbusters story pack, and vice versa. There are also Team packs, Fun Packs and Level packs. But these generally come under the Story packs or the Expansion Packs, though Level packs are generally smaller versions of Story packs. That’s right. ET is helping Superman and Supergirl. Or is he helping the Cyberman? Lego sets are released in waves. At the moment we’re on Wave 8. The early waves featured characters and stories such as Back to the Future, The Simpsons or several of the DC characters. At the moment we’re on the likes of the Goonies, the Lego Batman Movie and Knight Rider. And each character can be used in any story pack, allowing you to really mix things up. In fact, I specifically remember using Harry Potter during the Ghostbusters movie pack, with varying degrees of success, of course. But it does provide a level of freedom that is absent from Disney Infinity and Skylanders. It also provides a nice transition for those going from physical Lego sets to the digital version. The Ghostbusters, Fantastic Beasts and Lego Batman story packs follow the storylines in each film, more or less. And all are entertaining romps that operate with the common theme of finding clues, completing puzzles and building things to help you on your adventure. 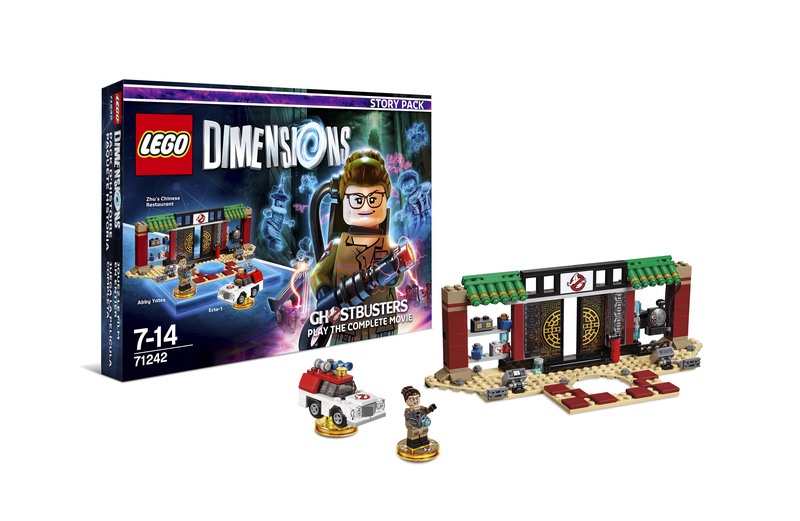 The Ghostbusters story pack provides loads of things to do, and you’re not limited to the most recent version of the film, there are also other Ghostbusters adventures to embark on here, much like how The Force Awakens Lego game included gameplay from Return of the Jedi, Ghostbusters features stuff from the second Ghostbusters film. Well, if you get the level pack that is. But there’s loads to do. Take a break from busting ghosts and defeating the Joker. Hunt a dinosaur. 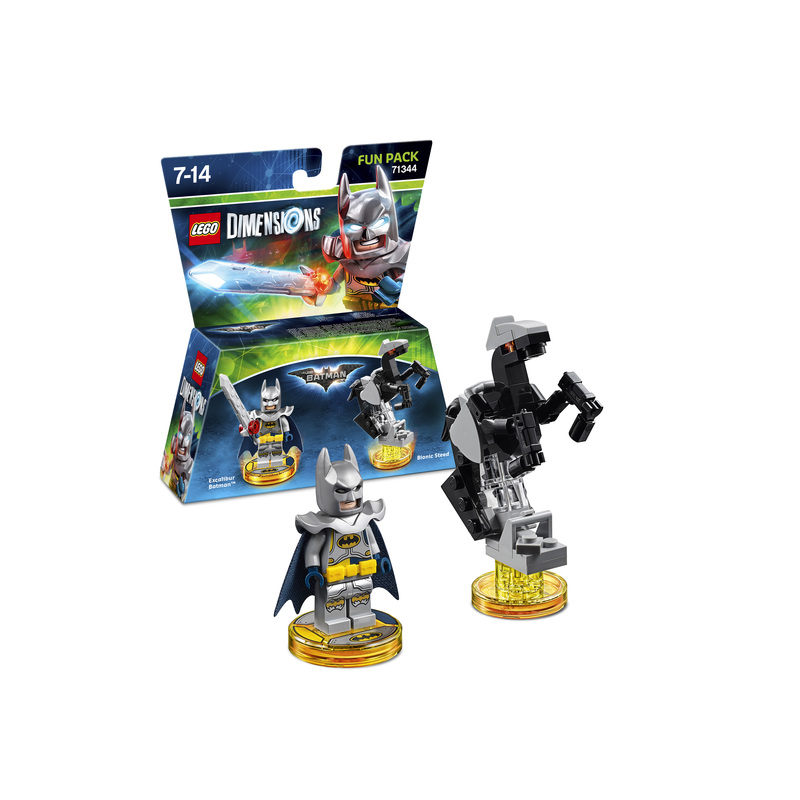 The main gripe with Lego Dimensions is associated with the cost. Individually the packs are fairly inexpensive. The average story pack sets you back about £25. While the original game and portal is a more expensive £65, or thereabouts. So once you are up and running it’s fairly easy to buy the packs as they are released without too much cost. However, like Skylanders, where there’s a desire to collect, it can soon become an expensive endeavour. But luckily the smaller level packs are even cheaper and you also have the character expansion packs which are cheaper still. So you can pick and choose, if you wish, and still have a considerable collection and in-game variety, but not burn through too much money. But Lego aren’t stopping there. A new Lego title was recently announced, one that will prove to be interesting and a direct challenge to Minecraft, Lego Worlds. 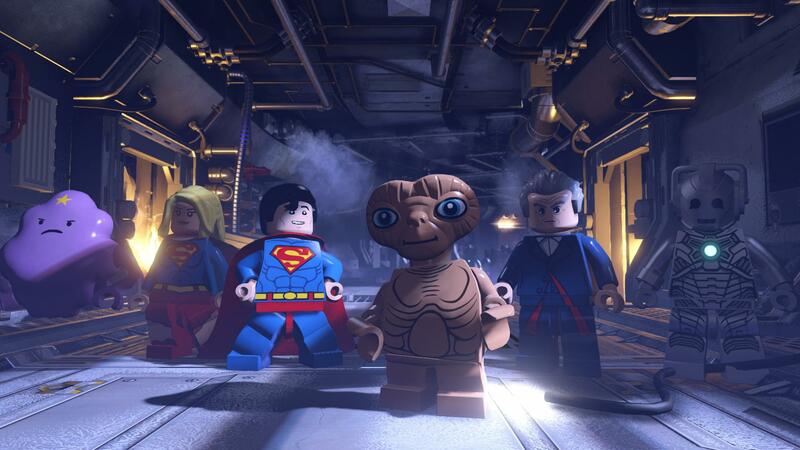 This new venture from WB and Lego looks set to expand the Lego universe to a new level, but only time will tell if it’s a fresh enough approach to the creative world building that Minecraft started several years ago. Can Lego Worlds steal some of the limelight of Minecraft? Next Post Close encounters of the thirst kind: Why love in video games matters. Previous Post How about a few rounds of cards? Gwent, specifically.